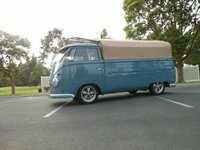 Start a new Volkswagen Microbus question. The Volkswagen Microbus has a long and storied history that goes all the way back to 1950, and continues even today. 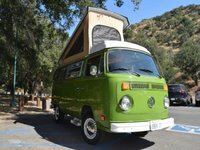 After the Beetle, the Microbus might be VW's most famous vehicle, and it is one that is still instantly recognizable today, perhaps due to its association in the 1960s with the counterculture movement. It's also been a particularly popular vehicle with surfers. Like the Beetle, the Microbus was a rear-engined vehicle, and as in the Beetle, the engine helped improve traction for the vehicle's rear wheels. 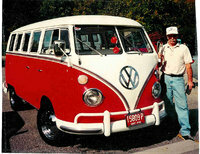 In its early years, the Microbus even borrowed the Beetle's 25-horsepower, 1.2-liter, air-cooled four-cylinder engine. Horsepower was increased to 36 in 1955 and upped again to 40 in 1959. If you're searching for a Microbus today, you'll notice they're referred to by a number of names. The early '50s models, for instance, are known as Barndoors due to their large rear engine hatches. 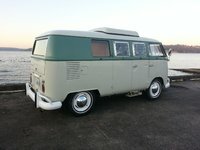 Another vintage model is the Westphalia, which was a camper version of the Microbus. 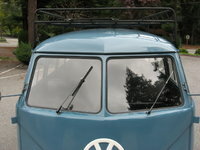 In addition, various models are referred to by the number of windows, since Microbuses were sold over four decades with anywhere from 11 to 23 windows (including sunroofs and split windows). 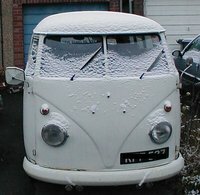 The Microbus received an update in 1968, and production was shifted from Germany to Mexico and Brazil in the 1980s and '90s. 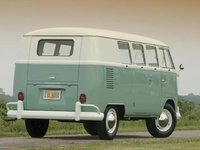 Engine size continued to grow throughout the Microbus' run, and it eventually came with a 78-horsepower water-cooled engine. 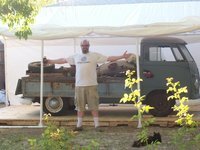 Although the Microbus was discontinued in 1989 in favor of the front-engined EuroVan, there has been great anticipation for the re-introduction of VW's popular passenger van. A new concept Microbus was shown at the Detroit Auto Show in 2001 and production was scheduled for 1995, but delayed. At of this writing, production is still delayed.